Agent Steve Rogers has political aspirations, but when a suitcase nuke turns out to be something much worse and so-called Norse gods start showing up in his life, he has a priority shift. Meanwhile, Loki’s priorities and plans haven’t changed at all. He wants Asgard to burn. Of course, earthly pleasures can be so distracting. 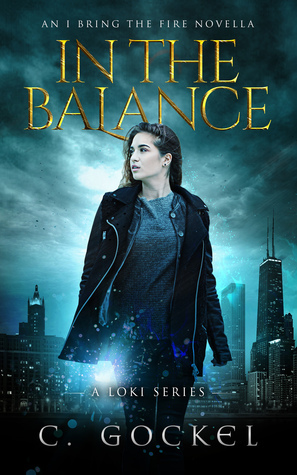 These three disparate characters have little in common, but they’ll have to join forces to save earth from trolls, wyrms, frost giant invasions, and an old evil growing beneath Chicago’s streets. 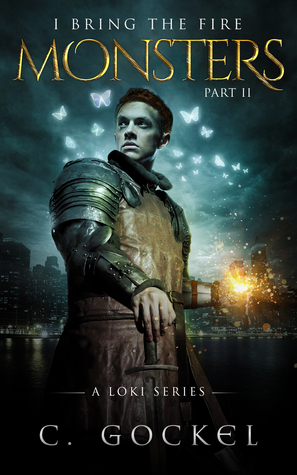 In this second volume of “I Bring the Fire,” chaos comes to our world and decides to stay. The nine realms will never be the same. In this final installment of the Cera story arc, the noose around Loki’s neck is tightening. Gerðr, the frost giantess, wants him dead; Cera, the World Seed, wants his head—literally and figuratively; the FBI wants him in Guantanamo; and an old friend from Asgard wants to bring him home...whether Loki likes it or not. Things can’t get any worse, but when Loki’s involved, it’s certain they will. In the third chapter of I Bring the Fire, humanity’s demons are unleashed on the Nine Realms and Amy Lewis and Steve Rogers get front row seats. Chaos might be their only hope. Chaos was an improvement on Monsters. I did enjoy Loki's mental battle with Cera; however, I still struggled to like him at times, and his relationship with Amy is difficult to fathom. Again, the links with Marvel kept getting in the way for me, and alongside the sudden addition of a connection between Loki and other religions, it felt as if things were becoming unnecessarily complicated. But there was a little more tension in this part, which kept me turning the pages to see how things would end. 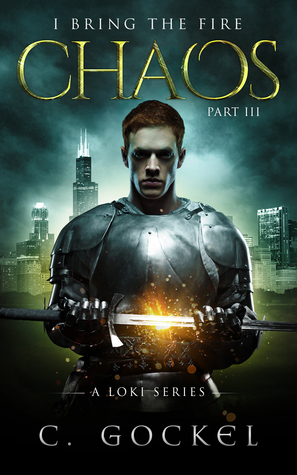 Amy Lewis is sure she’ll never see Loki again, but when chaos is involved nothing is certain. Called into ADUO’s offices to identify a magical artifact, Amy is taken on a journey beyond the universe itself. She comes face to face with the good and the bad of the forces of order and chaos, and has to chose for herself which of many imperfect paths to take. The fate of the Nine Realms is in the balance. This time, it’s in Amy’s hands. As a little side story, In the Balance worked well. It was interesting to see all the ways the scenario with Cera could have played out, and it gave Amy the opportunity to feature more prominently. In addition, it sets things up for another story arc, which will, I assume, take place over books IV-VI. Will I be reading on? At this stage probably not. So many people have mentioned this series to me, so I'm glad I gave it a try, but it's not gripping me enough to pay to continue.